When it comes to themes sometimes you just want something different to dress up your device. When going through App World the other day I came across a unique design by BB-Freaks. Now they are no stranger here to the CrackBerry blogs and for good reason. In the past couple of months they have been cranking out new themes left and right that are not only unique but appeal to everyone. One of their latest, Puzzle theme, is another bright, colorful, and charming theme filled with all sorts of goodies for you to enjoy. 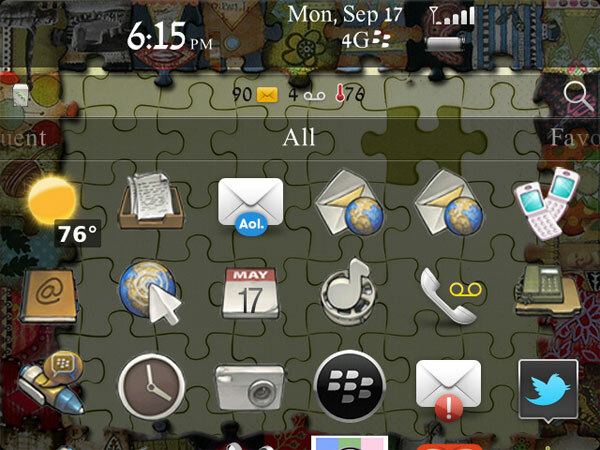 It not only runs smoothly on my BlackBerry Bold 9900 but offers a high level of customization and attention to detail all of you theme junkies are sure to enjoy. As with all of their designs, Puzzle theme is fully skinned from top to bottom. It features an extremely detailed custom icon set, puzzle piece notification and focus icons, beautiful matching backgrounds and colors, custom fonts, battery, and signal meters, and an easy to read and navigate home screen with a redesigned top banner. I love how they have continued using the new graphics on the home screen. The surrounding border of the background remains even if you switch wallpapers, essentially adding a frame to your favorite photos. If you are searching for another solid theme to add to your rotation then be sure to grab this in BlackBerry App World at the link below for $1.99. This certainly isn't your standard everyday theme and the inventive eye-popping design stands out on your display. It retains the functionality of OS 7 which means that while it may be a tray theme, it doesn't make the icons in your folder disappear. 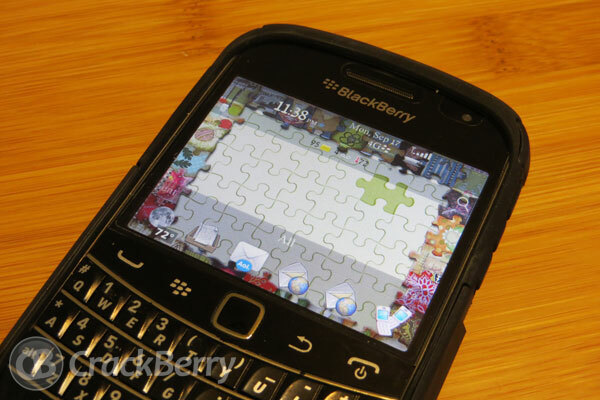 Puzzle theme is compatible with BlackBerry 9200, 9300/10/20/30/50/60/70/80/90, 9800/10/50/60, and 9900/30/81 running OS 6 and higher.